His poems have appeared in numerous journals including The Atlantic Monthly, The Nation, and Poetry, and have been widely anthologized. His work has also been translated into more than twelve languages. Balakian’s memoir Black Dog of Fate won the PEN/Albrand Award, and his book The Burning Tigris: The Armenian Genocide and America’s Response was awarded the Raphael Lemkin Prize and was a New York Times bestseller. Balakian is the recipient of Guggenheim and National Endowment for the Arts fellowships, as well as the Republic of Armenia’s Presidential and Movses Khorenatsi Medals, and the Spendlove Prize in Social Justice, Democracy and Tolerance. 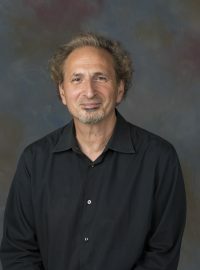 Born and raised in New Jersey, Balakian received his B.A., M. A., and PhD degrees from Bucknell University, New York University and Brown. He currently teaches at Colgate University where he is the Donald M. and Constance H. Rebar Professor of the Humanities and Director of Creative Writing. Doors open at 3:30 pm. The reading will be followed by audience Q&A, a public reception, and book signing with the poet. The Katonah Village Library is located at 26 Bedford Road, an easy walk from the MetroNorth train station. Street parking is available. For further information and exclusive interviews with the poets, please visit www.katonahpoetry.com. The Katonah Poetry Series has been showcasing the world’s best poets for over fifty years.